I’ve been dreaming of a breezy skirt with the easy functionality of shorts. 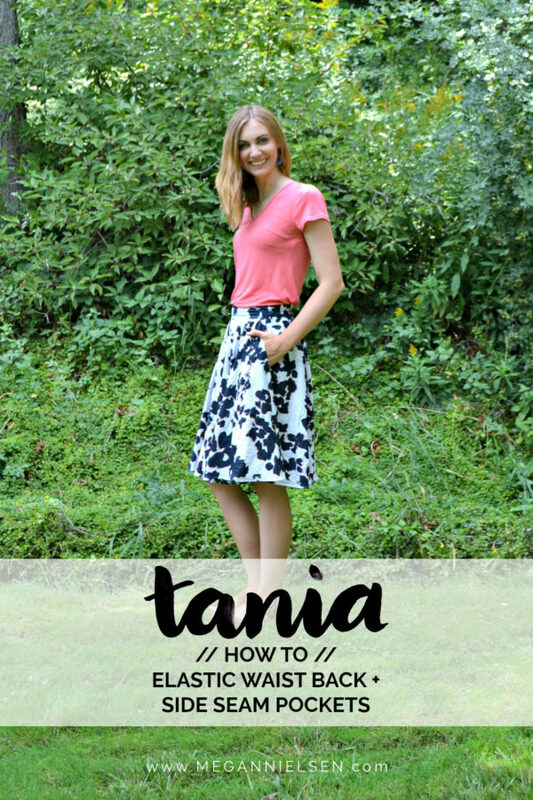 I recently made the Flint pants and loved them so much I decided to try the Tania culottes. They are the most amazing secret shorts! They look put together, but they are so comfortable and so breezy. I want a different pair to wear every day of the week, and anytime someone compliments my skirt I proudly show them the inseam and that it’s really shorts. I love that I can sit on the floor and I can ride a bike without worries of flashing anyone. I altered mine to have an elastic waist back instead of a zipper and side seam pockets to make them a little more comfortable and functional. These are the best “shorts” I have ever worn! Whenever I get a compliment on this “skirt”, I have to show them that it’s actually shorts! Lately I’ve been really inspired by the trend of tees with interesting details. There are ruffles, ties, bows, crossed straps, keyholes, etc. It takes your comfortable and easy-to-wear tees up a notch. You look pulled together without trying to hard or wearing something uncomfortable. I used the Mini Briar Tee pattern for this tutorial, but it can also work for the Briar Tee pattern or any other knit tee pattern. 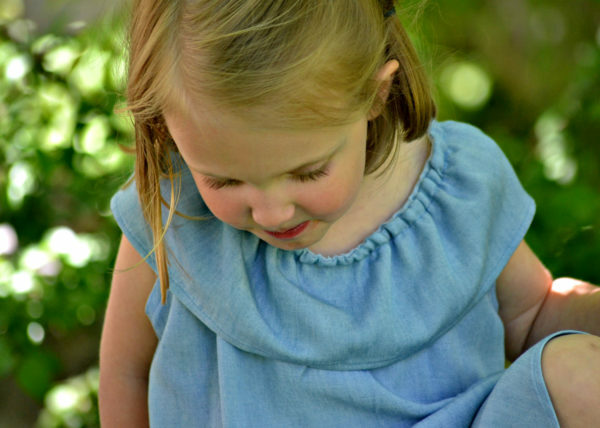 I have a daughter that is playful, messy, independent, and likes to wear dresses and skirts. She’ll play hard and get muddy, but she wants to do it with her own feminine flair. I have loved the Mini Tania. It is so fun for my daughter to wear shorts that look like a skirt. It’s perfect for her when she’s playing hard. 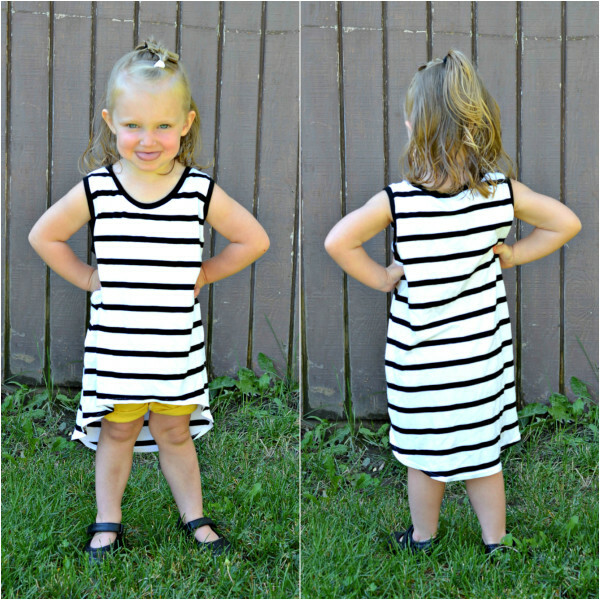 Since I loved the Mini Tania so much, I wanted to make a dress that could play just as hard. 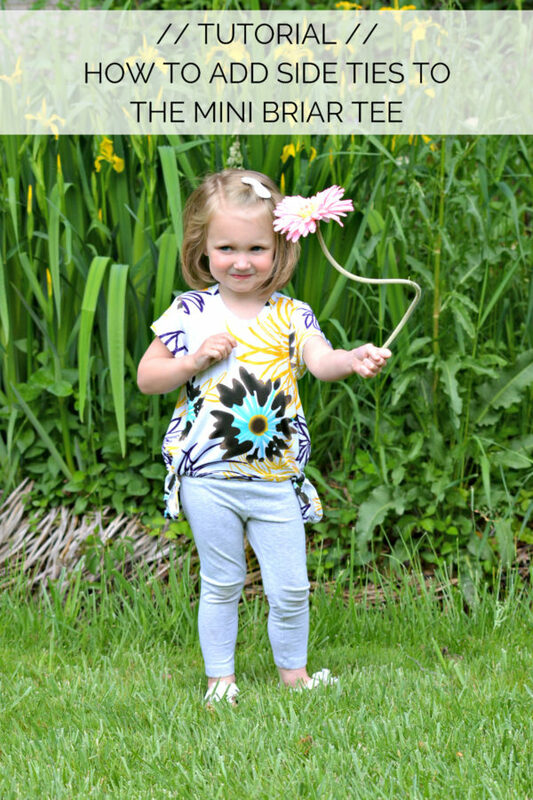 I decided to combine the Mini Briar and the Mini Tania to make a perfect playful romper. Rompers are so easy for playing and wearing, and I love that this romper looks like a dress but wears like a romper! The problem with a romper is figuring out a way to get it off. It’s very common to make a button placket at the front, but I didn’t think my 3 year old would be able to unbutton and button it fast enough. Instead I created a elastic neckline with a ruffle. She can pull it up and down quickly and easily. 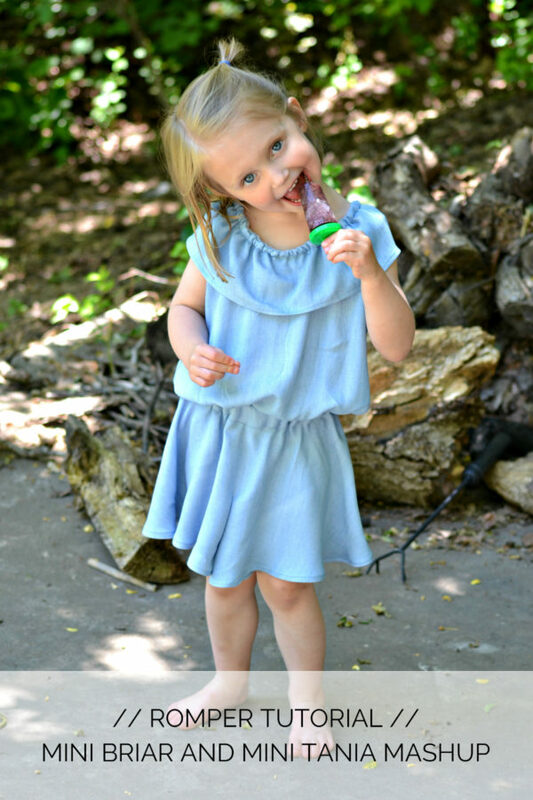 I used a 100% modal so the fabric has a beautiful drape which is perfect for this romper. This romper works best if using fabric recommended for the Mini Tania. Hi there! It’s Heather here. I’m going to be sharing some tutorials here on Design Diary every once in awhile. I’ve really loved sewing all of Megan Nielsen’s girls’ patterns. They are so fun and cute and basic which fits right into my style! My daughter is 2.5 years old and just barely fitting into the smallest size. She is very petite for her age, and I’ve been not-so-patiently waiting to sew her clothes from all of the girls’ patterns! 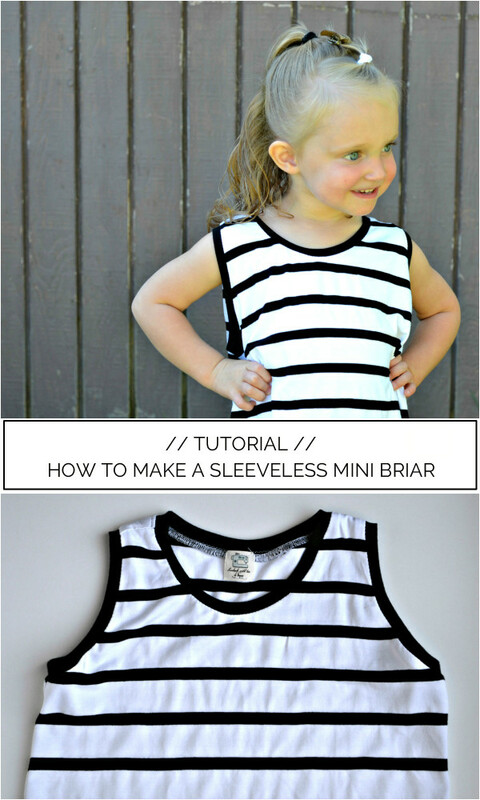 The first item of clothing I made is a sleeveless Mini Briar with simple sleeve bands. I used a stretchy rayon spandex for the body so the fit is very loose. This is a tutorial for sewing regular knit bands and not the special knit binding version that Megan Nielson is famous for.